Killingly CT Public Insurance Adjusters | Pipe burst, ice dam, water damage claims experts. Winter storm insurance claim experts helping Killingly CT home owners and business owners with frozen water pipe bursts, ice dams, and structural collapse insurance damage claims. 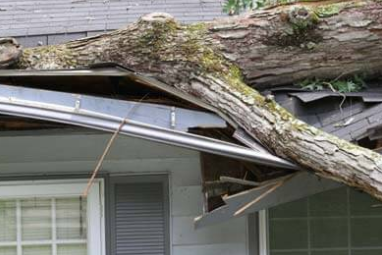 Global Patriot Adjusters can help Killingly CT policyholders with their wind and roof damage insurance claims. We get you maximum payout and take the pain out of the claims process. Specializing in mold damage, storm damage, ice dams, wind damage, sinkholes, and more — we can help. Please call Marc Lancaric 203-433-0203 with any questions about our Connecticut insurance adjusting services. Killingly, CT is a medium-sized town located in the state of Connecticut. With a population of 17,131 people and three constituent neighborhoods, Killingly is the 68th largest community in Connecticut. The town of Killingly in north Connecticut on the Rhode Island border, covers 50 square miles and is the home to approximately 15,940 residents. Killingly was first settled in 1700 and it was originally called Aspinock. The town was incorporated in 1708; in 1726 it was transferred from New London the Windham County. Although the area's economy was devastated in the 1950's with the closure of six large curtain factories, the competition of the Connecticut Turnpike revitalized the town and today it is a commercial center producing everything from surgical supplies to electric insulation to potato chips.